We all dream of strong, naturally healthy, flowing locks, but it isn’t always a reality. If we want our hair to look good we tend to reach for the coloring, straighter, chemical treatments and blow dryer. Of course, we do, it’s the easiest way to get our hair to look celebrity chic in the short amount of time we have before hitting the town, going to work or meeting for brunch. Guess what? 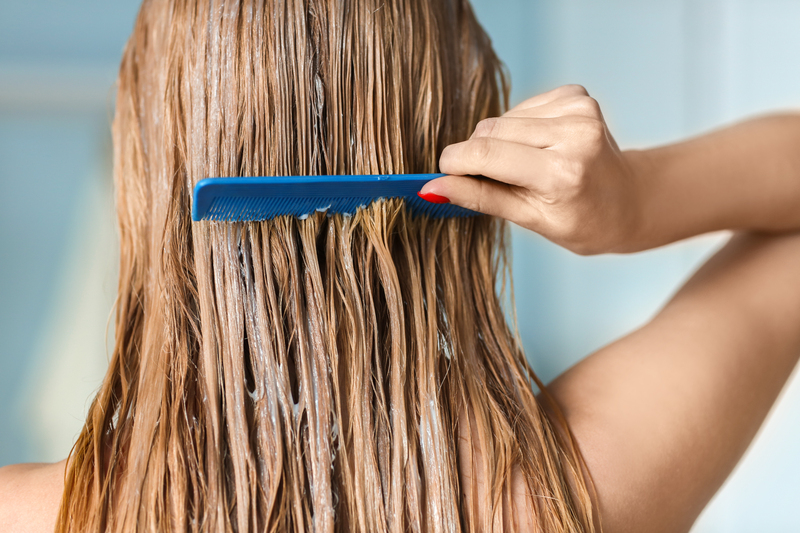 These quick fixes are not the best idea for our hair health, and they can cause serious long-term damage. Why Would You Use a Leave-In Conditioner? Every day our hair comes into contact with a variety of factors which cause damage to our hair. Some of these factors include UV rays, heat (blow dry), hair products, brushing and tying as well as air pollution. Each of these unavoidable factors has a negative effect on the long-term health of our hair. The damage can result in thinning or fine hair, brittle hair or hair prone to breakage. None of these are situations you want to be in. As mentioned before, many of these damaging factors are unavoidable in our fast-paced lifestyle, not everyone looks great with towel dried hair, and this means we need a fast-paced solution to care for our hair. The solution is a conditioner. Hair conditioners are the armor for your hair. It protects and smooths the hair strands out, avoiding tangles, which cause breakage, and providing protection against the elements. Aren’t we meant to rinse our conditioner out though? Yes, most conditioners are formulated to be rinsed after use, but there are some which are angels sent to supply us with all day hair protection. These are leave-in conditioners. Never heard of them? Not to worry we have compiled a list of the best leave-in conditioners to make the choice easier for you. Increases Moisture – A leave-in conditioner will keep your hair hydrated throughout the day, making sure you avoid dry hair. Protection – All day protection against the harmful effects of heat, air pollution and color treated hair. Sun Protection – All day protection against harmful UV rays. This is a product of pure luxury, at an affordable price. The Alterna Caviar Cc Cream is a 10-in-1 Complete Correction for your hair. Being a cc cream it is a light hold hair product, meaning that it will not weigh you down through the day. 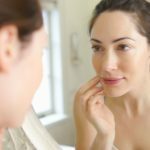 What are the 10 benefits of this products? The Alterna Caviar supplies you with moisture, shine, smooth, soft, anti-breakage, heat protection, light hold, UV protection, manageable strands and strength. Sounds great but how does it all work? Well, this product is infused with caviar. Yes! Actual caviar from fish which are sustainably farmed in France. From the caviar, you get a range of vitamins and minerals as well as Omega -3 fatty acids. Omega-3 fatty acids work to reduce inflammation on the scalp and nourish the hair with essential oils from root to tip for protection and strength. This product has been scientifically proven to reduce breakage by 92% as well as provide heat protection of up to 450° F (230° C) which is amazing. This is the perfect product for you if you have wavy hair, frizzy hair or straight hair which is prone to breakage. Final Verdict: Great luxury complete solution product with tested results. Good vibes for your hair is what Sun Bum claims, and they are 100% correct. With their Sun Bum Revitalizing 3-in-1 Leave-In Conditioner, you won’t miss another island holiday or beach day again. Offering a spray on leave-in conditioner means lightweight protection. This product gives you UV protection as well as having a full range of tropically natural ingredients. Their ingredients include coconut oil, banana extracts, quinoa protein and sunflower seed oil. The oils provide full, locked in hydration and shine, while the banana protects the hair leaving the quinoa proteins to build strength. Giving your hair a boost of hydration and shine, this product can be used on wet or dry hair. It is an absolute must to add to your beach bag this summer. Final Verdict: Fun, young beach brand, offering 3-in-1 protection product. The Unite team have brought us a detangler leave-in conditioner. The UNITE Hair 7 Seconds Detangler is perfect for people with hair which knots or tangles easily. The spray leaves a weightless hair feel, while hydrating and strengthening the hair. It contains moisture and proteins to hydrate and strengthens your hair throughout the day. The UNITE Hair 7 Seconds Conditioner is great for hair which has been chemically treated, exposed to heat or UV rays. Use this spray after your regular shampoo and condition. Apply four to six sprays to your towel dried hair, wait 7 seconds and see how it detangles and nourishes the hair. UNITE is a salon trusted brand which has been used by hairdressers and stylists for many years. Final Verdict: Trusted by salons internationally, a great product for difficult, knotted hair. The Salem 21 B5 is a protein-based leave-in conditioner. Proteins in hair products work deep in the root of the hair building strength. This leave-in conditioner is the perfect product for you if your hair has become brittle or dull due to heat, chemicals and color treatments. This conditioner provides long-lasting protection against sunlight, heat, chlorine as well as saltwater. It is great if you are an active outdoors person, spending time in the sea or sun. The B5 stands for the ingredient, Pro-vitamin B 5, which works to restore shine and lock in moisture to porous or dried out hair. If you need to restore life to dull hair, this is definitely worth a try. We also love the large tub it comes in for the price. Final Verdict: The combination of proteins and vitamin B5 are perfect to restore life to dull hair. Here is a leave-in conditioner specifically formulated for people with curly, wavy or frizzy hair. Living Proof, a stylishly minimal brand, have this fantastic Curl Leave-in Conditioner. The product is oil-free leaving a lightweight feel when applied. If your hair curls, frizzes or has waves then this is perfect for you. The Living Proof Curl Leave-in Conditioner defines curls and waves, brings life and bounce back to your curls and eliminates frizz. While applied to your hair, the brand’s unique formulae keep your hair perfectly hydrated and block out unwanted humidity to avoid frizz. Final Verdict: Stylish and minimal product specific for curly, wavy hair which is prone to frizz. Garnier is a brand most households are familiar with. It is a common supermarket hair product brand, known for their color treatments and at home coloring kits. Having been a trusted household brand for years it is a great budget chose for a leave-in conditioner. The Garnier Fructis Sleek & Shine Leave-in Conditioning Cream contains sustainably sourced argan oil from Morocco. This product also contains fruit proteins from apricots. The argan oil works to detoxify the scalp promoting healthy hair growth, shine and moisture. The proteins from the fruits play the role of building strength in the hair strands from root to tip. This is a great product if your natural hair is frizzy and unmanageable. Use this cream to smooth out your hair and manage it on the go. The brand claims the product provides 3 days of sleek hair, definitely worth checking out. It has also been proven to hold down frizz even in the humidity of up to 97%. For the price, it is worth a try. Final Verdict: Trusted brand and budget buy for a good leave-in anti-frizz conditioner cream. This fun and funky brand is making their products around their favorite ingredient the sea buckthorn berry. This berry is known to contain vitamin A, C, E and Omega -7 fatty acids. The Amika Silken Up Dry Conditioner is one of those products which contains this magic berry. It is a weightless dry conditioner which detangles, eliminates frizz and gets rid of nasty static. Made to provide relief for frizzy hair it also protects your hair from harmful UV rays for over 24 hours. The dry conditioner leaves your hair soft and shining, as it promotes resilience, prevents breakage and mends terrible looking split ends. Packed full of nutrients and vitamins this is a great product to use to your tame frizz. It is also free of harmful ingredients, is cruelty-free and the aerosol can be recycled. Final Verdict: Brilliant funky fresh, frizz control to have with you on the go. Suave Professionals Leave-in Conditioner prides itself on their combination of avocado oil and olive oil used in this product. These oils provide the conditioner with emollients which provide moisture and shine while smoothing the hair to decrease frizz. This affordable product makes it easy for you to manage your frizz daily, especially if you are in humid areas. It is fresh smelling and long lasting, keeping your frizz at bay in up to 95% humidity. They advise you to use this in conjunction with their shampoo and conditioner for best results. Your hair can be kept looking and feeling smooth for up to 3 days. Final Verdict: Like the Garnier a great budget option for everyday frizz control, with natural oils. Briogeo is an elegant vegan and cruelty-free brand who offers a wonderful range of hair care products for all hair types. The Don’t Despair, Repair! Strength + Moisture is great to give your hair an instant reboot. If your hair has been looking dull from heat, color or sun damage then this lightweight spray is a great solution for you. Made from 95% natural ingredients this product is packed with goodness. The ingredients include argan oil, rosehip and algae. The argan oil works as a deep conditioner restoring hair quality. Then the rosehip balances your hairs hydration by locking in moisture and keeping out humidity to maintain and manage your frizz. Finally, the proteins in the algae build the strength of your hair. Briogeo has clinically proven that this product reduces hair breakage by 94%. They also have a full range of natural hair products, so be sure to check them all out. Final Verdict: a great natural product with key anti-breakage and frizz control ingredients. Has your hair become damaged from too much heat-related styling? Then this is a great product to treat your heat damaged hair. The Keratin Leave-In Conditioner from Damia is the perfect solution to detangle hair and restore life. It offers brilliant thermal protection, is lightweight when applied, to avoid a build-up of residue, and can be used on all hair types. This Keratin Leave-In Conditioner has had an extremely positive response from consumers, so much so that they offer a money back guarantee. This easy to apply the product is a great solution to add that needed life back into dull hair. Final Verdict: A high consumer satisfaction product to revitalize damaged hair. This elegantly designed and fresh looking brand, Kristin Ess, is offering us a lovely lightweight spray on leave-in conditioner. This product is great for detangling, sealing in moisture, and enhancing shine. It is safe to use on all hair types and works best when applied directly to very wet hair. The Weightless Shine Leave-In Conditioner from Kristin Ess is affordable and a quality product. Their “zip-up” technology has been formulated to repair split ends, as well as targeting and repairing weak areas of your hair strands to reduce breakage. This product shows best results over time. Final Verdict: An elegantly packaged product with a fresh fragrance for complete hair repair. Straight Hair – If you want to find a conditioner for straight hair, you should look for something that will provide volume and body. Wavy Hair – The best conditioner for wavy hair has to be lightweight, and block out humidity. Find something to define those waves. Thick Hair – For thick hair, it is essential to choose products that will hydrate your hair, and are lightweight. Curly Hair – You should use a conditioner that will keep the frizz at bay while maintaining moisture. Color Treated Hair – If you regularly color your hair, you should find a leave-in conditioner that will treat brittle and dry hair. Finding a conditioner without sulfates is essential for colored hair. Leave-in conditioners are fantastic products that will provide you with the possibility to protect your natural, color-treated and curly strands from daily harmful elements. You can find it as a cream or a spray, depending on the type of hair you have you will choose which is more appropriate for you. A spray is known to be lighter than a cream, but some people feel the cream is more effective. Using leave-in conditioners will make your hair more manageable, will increase overall health and look, and have an overall positive impact on your hair health. For All Hair Types – If you want to choose a conditioner for all hair types, we recommend you to consider Alterna Caviar Cc Cream 10-in-1 Complete Correction Leave-in Hair Perfector. Best for Frizz – If you are looking to manage your frizz while treating your hair we would recommend Amika Silken Up Dry Conditioner. It is certain that over the years you have had a number of products purchased which have just not worked for you. It is always important to do your research before diving straight into a purchase. Understand the ingredients in the products and know what benefit or harm they may do to your hair. This is the first step to long-lasting hair health.